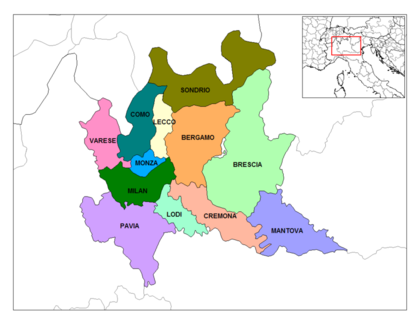 Lombardy or Lombardia is a northern region of Italy. Lecco- a little and charming city situated on Como's lake. Milan is serviced by two airports, Malpensa and Linate.. There are also smaller airports in Brescia (Montichiari airport) and Bergamo (Orio al Serio airport, which is the destination of many low fares flight). 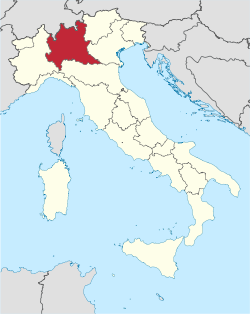 Lombardy’s most famous culinary inventions are minestrone soup and osso buco (literally "ox knuckles"). To the west of Milan lie miles of rice fields, where the rice for risotto alla milanese is grown.